As a child, did you ever try on your mum's outfit and made a mess at her dressing table? Well, I did. In my mind, I probably imagined myself to be a princess but judging from how I could not differentiate a lipstick from an eyeliner back then, I would have shocked the mirror on the wall. When I was a little older, I liked to pretend to be a telephone operator and with the receiver on my shoulder, I would talk about anything under the sun and even showcase my unimpressive vocals. Sometimes I would even dial random numbers and it wasn't till I got a scolding from a grumpy man with a deep, husky voice that made me stop once and for all. Subsequently, I would take my mum's mahjong chips and calculator and pretend to run a store. I would take objects, give them a price and then add up the total by pressing the buttons of the calculator as fast as I could in an attempt to be the most efficient cashier in the world. Why, Maths was my favourite subject in school. 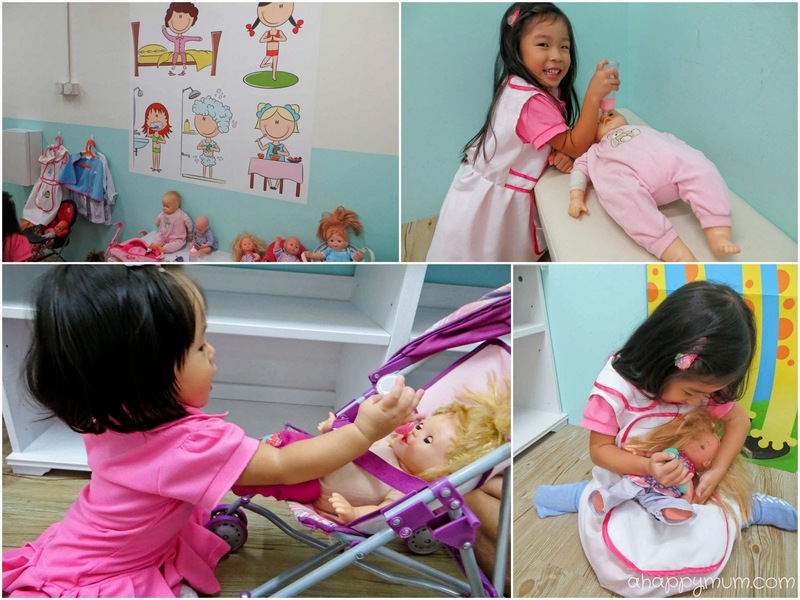 Role play is such an important part of childhood, don't you think so? It helps to stimulate creativity, builds up confidence, allows you to explore the world you live in, fosters problem-solving skills and develops empathy by putting yourself in the shoes of others. 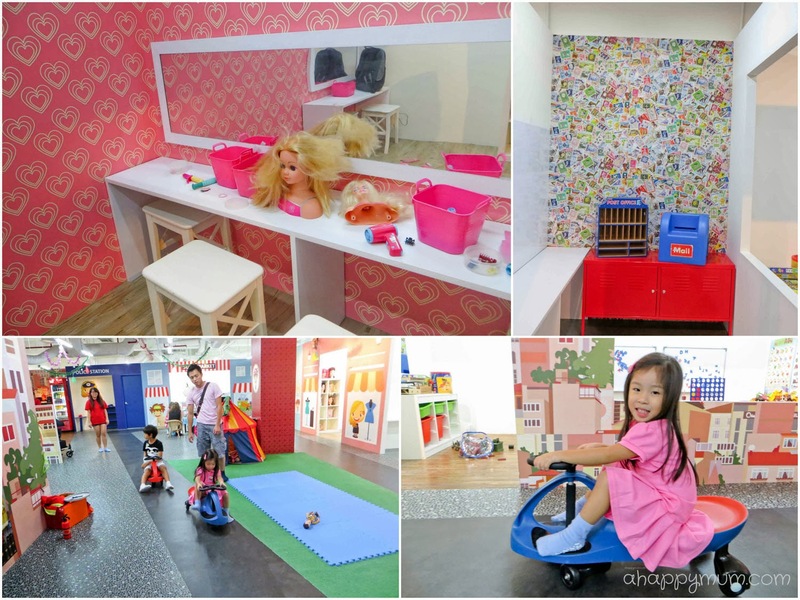 Last week, we were invited to visit The City, an interactive playground that recognises the importance of role play and offers a play experience for children that is both fun and educational. I had the chance to speak to the designer and director of The City, Smadar Ron, who previously worked at Chanel and had a switch in her career after being inspired by who else but her own son. 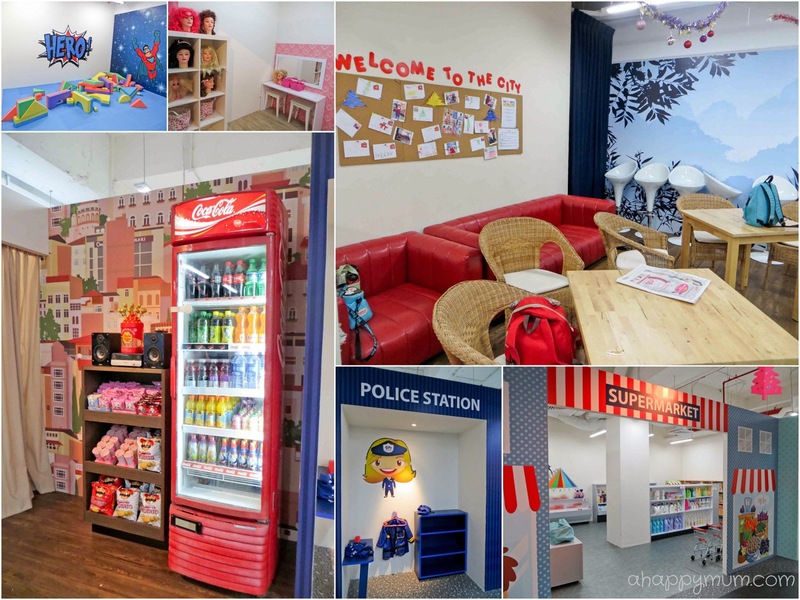 Designed for two to eight year-olds, there is a total of 10 learning stations, namely Supermarket, Clinic, Café, Nursery, Post Office, The Heroes, Classroom, Beauty Salon, Fire Station, Road and Traffic Police. 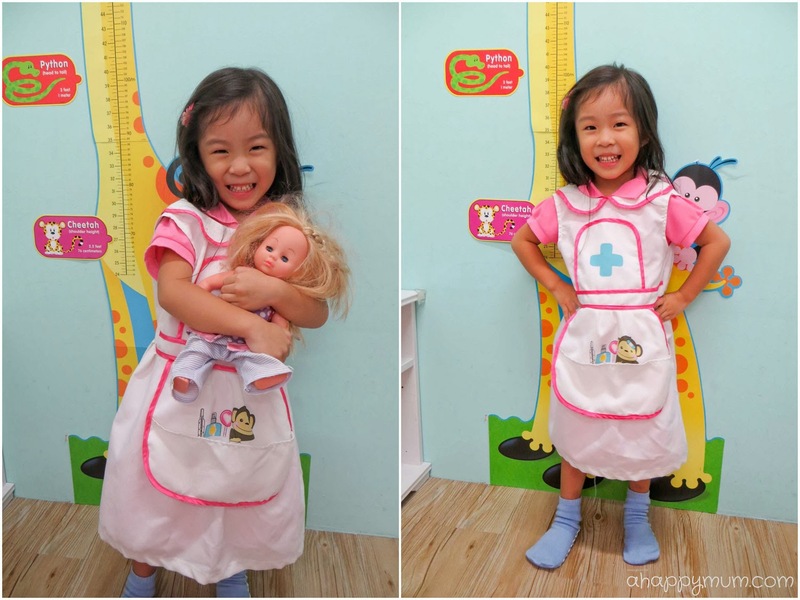 Children can dress themselves in uniforms and outfits and transform into chefs, cashiers, doctors, nurses and policemen. Are you ready to explore more with us? At first glance, the place was smaller than what I expected. There is a small lounge area near the entrance where parents with older kids can sit down to relax and have a coffee or two while the little ones explore and play by themselves. I was a little disappointed to see that there wasn't any real food offered like sandwiches, nuggets or french fries, you could only get tidbits, biscuits and candies. With a cosy and vibrant appearance, the setup of the place is very much straightforward and you can easily move around from station to station. Our first stop was the Clinic/ Nursery. Nurse Angel was thrilled to have not one but a dozen babies to care for! She fed them milk, gave them vaccinations, rocked them to sleep and even the little sister came to join in the fun. Bet she was pleased to see that she wasn't the smallest being around. Next, we moved to the Supermarket, which was one of Angel's top favourites. It was nice to see that the place used empty cartons of products that you would see in a real supermarket, from milk to chocolates and even toothpaste. 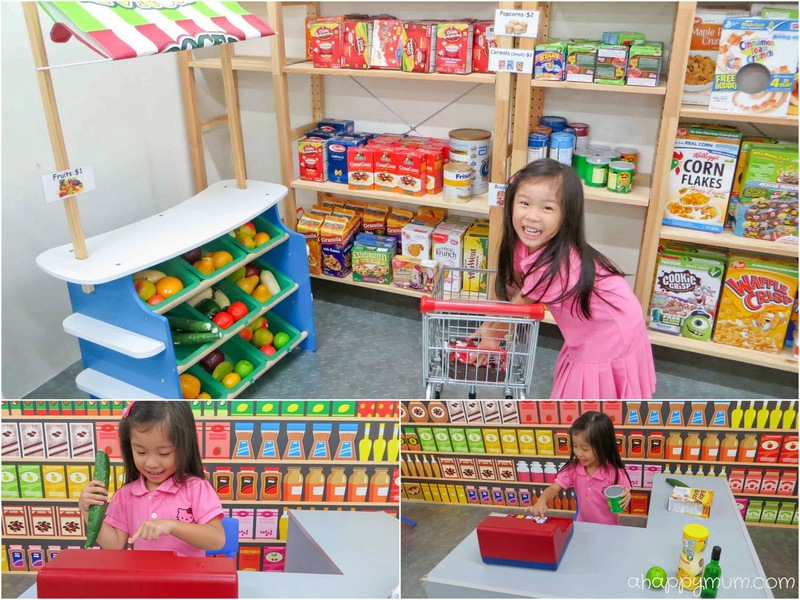 Kids could take turns to be the shopper and cashier, they could practise mathematics by adding up the costs of the items, they could also learn their numbers and simple counting by using the cash register which actually worked. 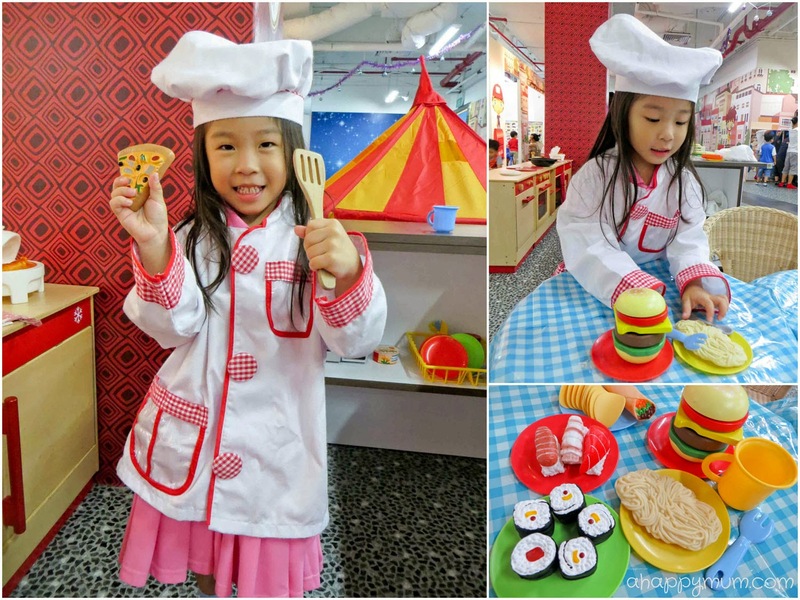 This station was the one the girl couldn't bear to leave - the Café, which wasn't surprising since she had a toy kitchen at home and we already knew how much she loved to cook and whip up delectable meals for the entire family. Check out our delicious lunch by Chef Angel that day! I loved the sushi maki and nigiri! For the other stations, including the Salon, Post Office, Road and Traffic Police, they didn't interest my girl as much as the previous few. If you decide to come here on a crowded day, be warned that the patrol cars can be rather dangerous even though there is a designated driving street. Some children just like to swerve around and might hit your crawling toddler or lively child if you are not looking. Although it was plain to see that the cars were a hit with the children and most of them could ride for a long time, my girl just wasn't that interested in being a patrol police and one round was all it took to make her happy and give the car to someone else. Presenting the Firefighting sisters! 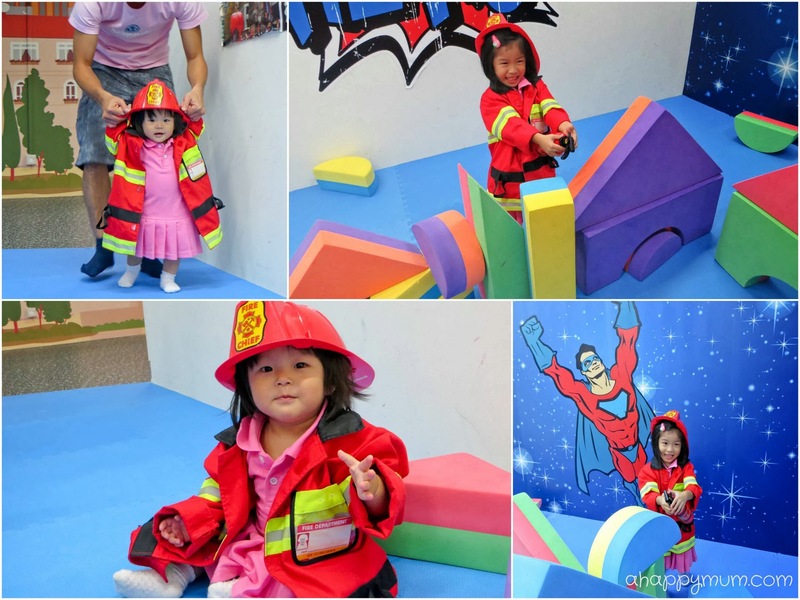 Although I wished there was more than just a fake fire extinguisher, loud hailer and uniforms for this station, I had to say the big girl quite enjoyed extinguishing the flames while the small one was busy playing with the helmet. 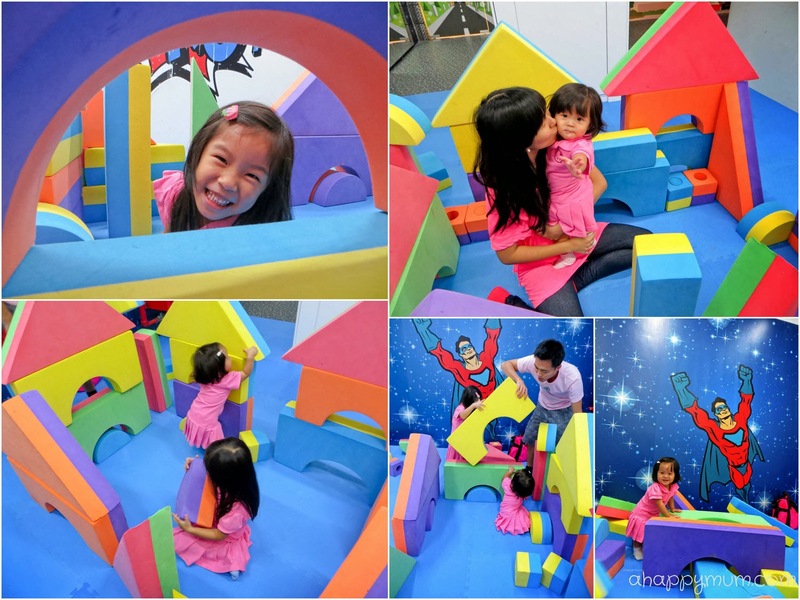 The Heroes station was a haven for the kids and they had fun making beautiful castles with the colourful foam building blocks. Or rather, one was trying her utmost to build while the other was destroying at the speed of light. Guess that is how siblings complement each other, no? 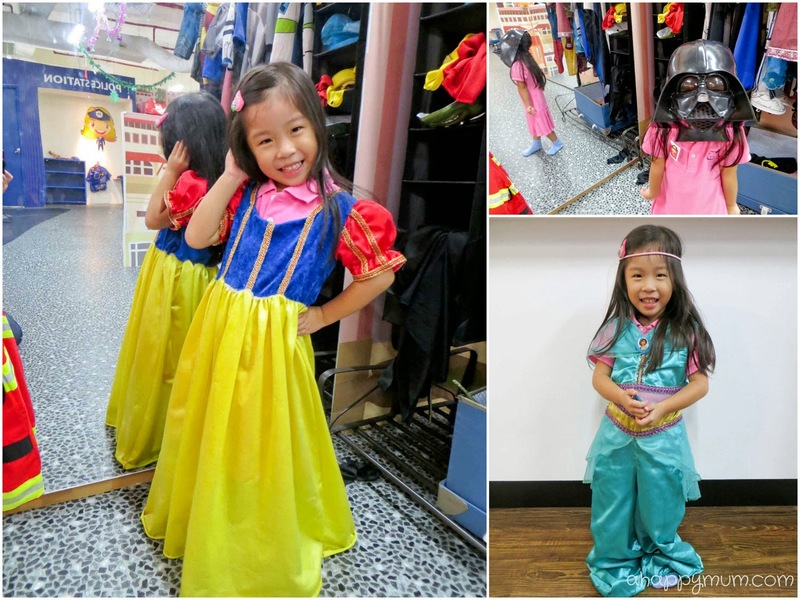 For the boy who yearns to be a superhero or the girl who wishes to be a princess, there is also a range of costumes available for them to dress up and make their fantasies come true. I noticed that for many of the costumes and uniforms, the velcro tapes had either fallen off or were not sticky. A check with the staff indicated that these outfits were brand new to start with but because of constant wearing and sometimes tearing by kids, they were worn out pretty soon and a batch of clothing had already been sent for repair and stitching. For the sake of others, I guess we need to teach our kids to be a little gentler and keep these in good condition, yeah? Last but not least, The City also conducts daily guided activities and all kids present are more than welcome to join in. 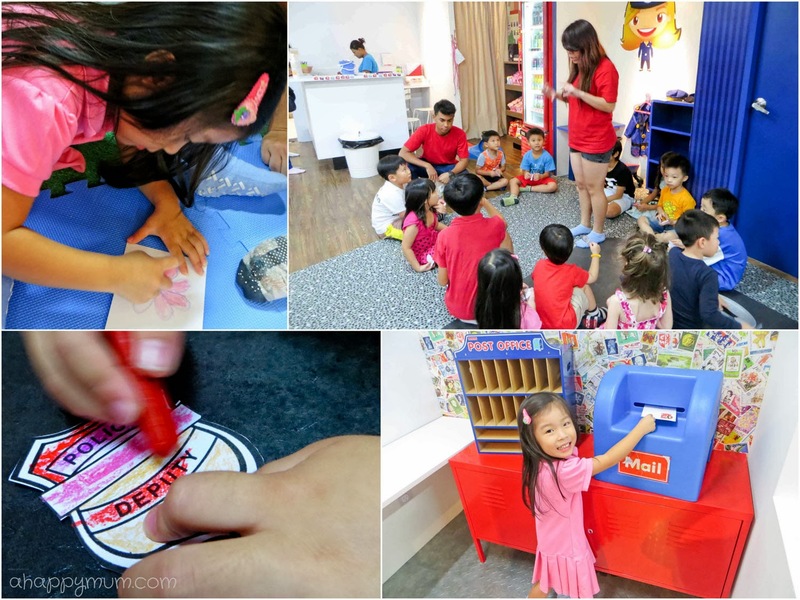 They started with colouring police badges, hunted for flash cards around the stations, answered questions, wrote and mailed postcards to people they loved. It could get a little rowdy when a dozen of kids rushed around looking for one flash card and most of them wanted to be the one to get it first. Most of them didn't include Angel, who usually stayed at the back and only went up to take a look when all the kids had proceeded to the next station. The staff actually commented to me that *coughs* Angel was one of the most demure and obedient kids they ever encountered. 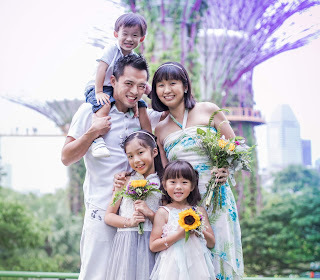 Well, I was just happy to know that the princess was happy and we had a fun afternoon playing pretend, learning to count, cooking up a storm and building fortresses. Thanks to The City for this unique first experience and we'll definitely be back for more! *All guests require to wear socks while playing at The City. Each pair will cost $5 so don't forget to bring your own! 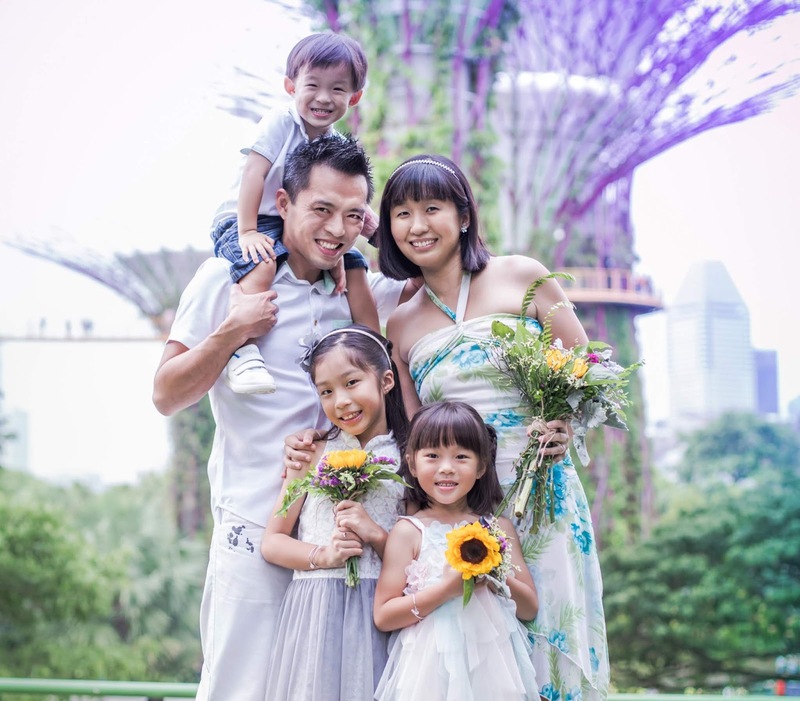 For birthday parties, check out their packages or call 6250 6507. Also, you can visit their website or Facebook page for more information. Disclosure: We were invited to experience The City and received a complimentary session in writing this review. No monetary compensation was received and all opinions are our own. Looks like a really fun place for the older kids! Hopefully this place will still be around when Nakayla is old enough to enjoy the place too! Yeah Kidzania will be opening soon, Nakayla will be just in time to enjoy some role play fun both there and at The City! =) Thanks for hopping by, Mabel! Like Snow White's pose in front of the mirror! My daughter loves this costume too and she keeps talking about the nail painting after we visited The City last month!